After some time off the bike Todd was in the market for something new to keep it fresh. 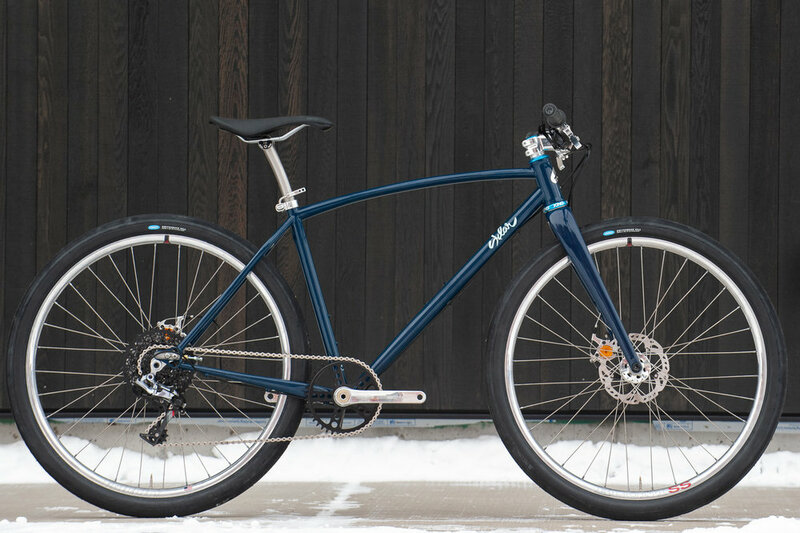 A bike he could hop out the door for some mixed fire road and singletrack rides or even hop in to some cross country racing, longer trail days or even some bike packing. This is the bike we came up with. 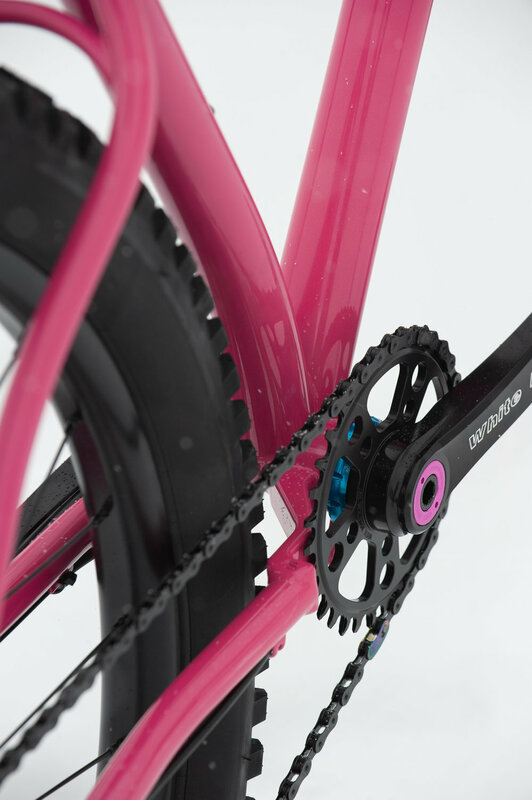 A really fun middle of the road geometry that will be fun, light and nimble with the rigid setup. 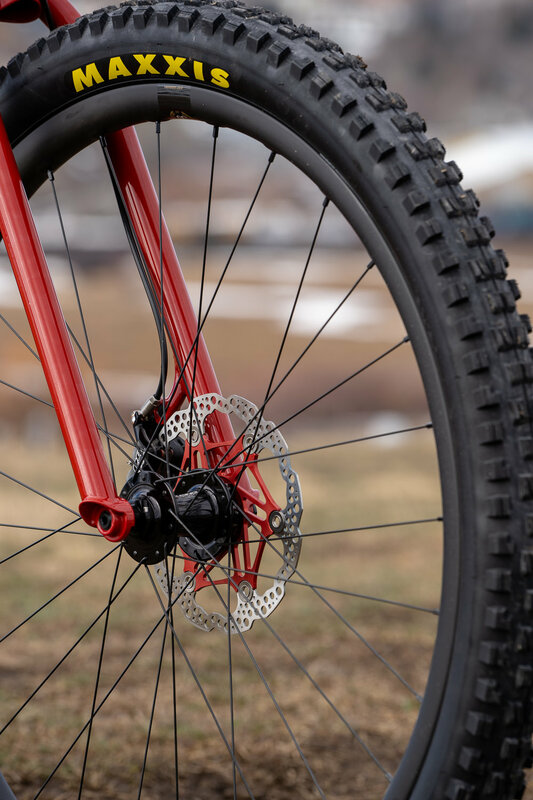 The bike is set up with “2.6in tires” (The Maxxis 2.6 DHF measures in at 2.45” on a 30mm rim) but the frame clears up to a 2.8” if Todd wants to go that route. 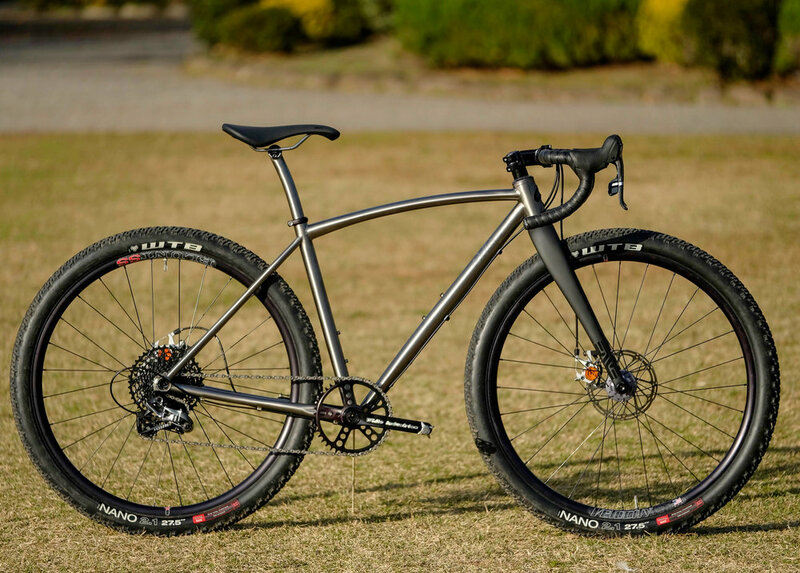 Todd opted for a Sklunk bar to top off the build, cranks from White Industries, bearings from Chris King and White, Stoppers from Hope in the UK and (gasp) a rigid carbon seat post from Enve. I couldn’t help myself from adding standard stealth dropper routing though if he ever comes around. The frame runs Paragon Machineworks sliding dropouts, which means easy chain tensioning while the bike is set up single speed and a really easy swap to add a derailleur if that ever comes up. 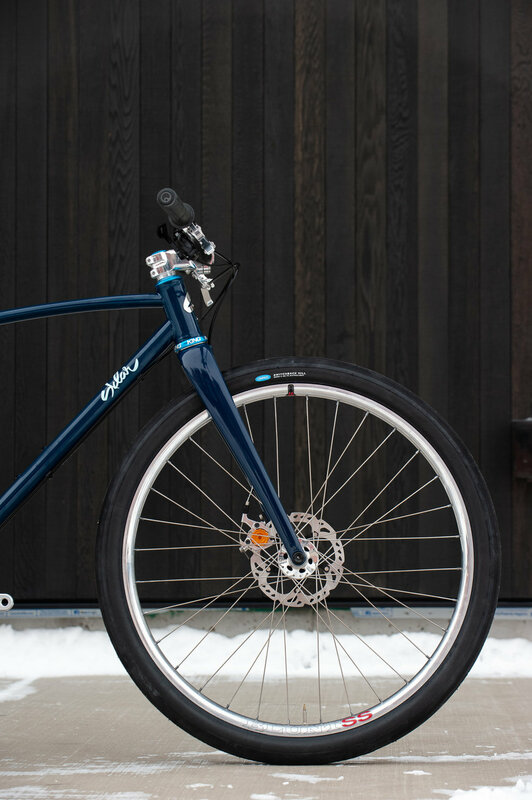 All in all, this is a great versatile mountain bike that should last forever. 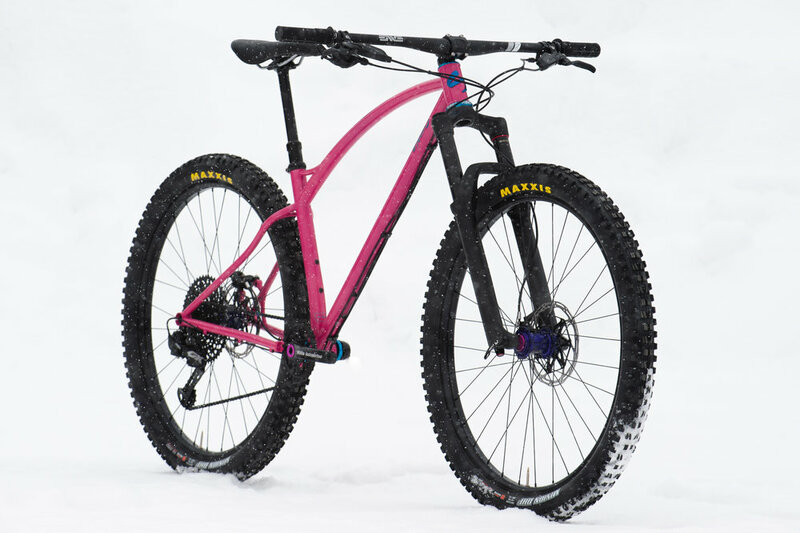 If I had to have just one bike, a bike like this would be high on the list. Can’t wait for Todd to take it out on the trails in California and get it dirty! 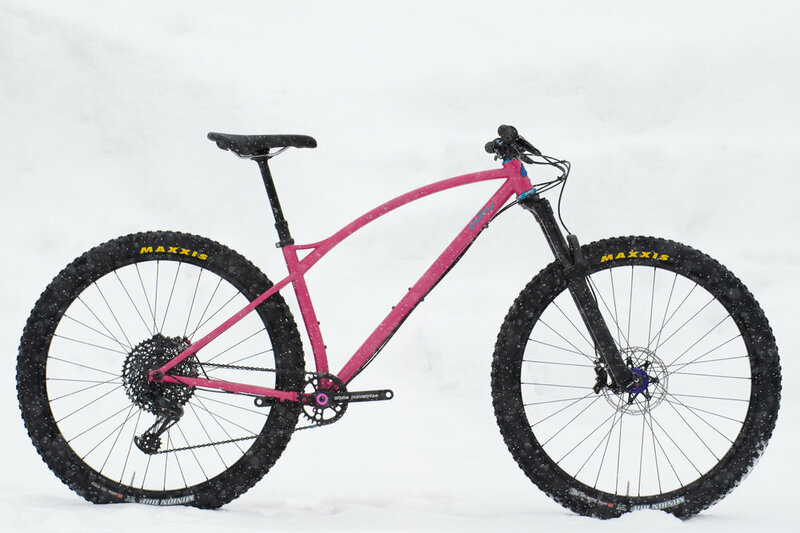 A quick look at this bike and you know it was meant for some rowdy trail riding. Alek lives on Vancouver Island and wanted something to tackle those rooty, rocky and loose trails. 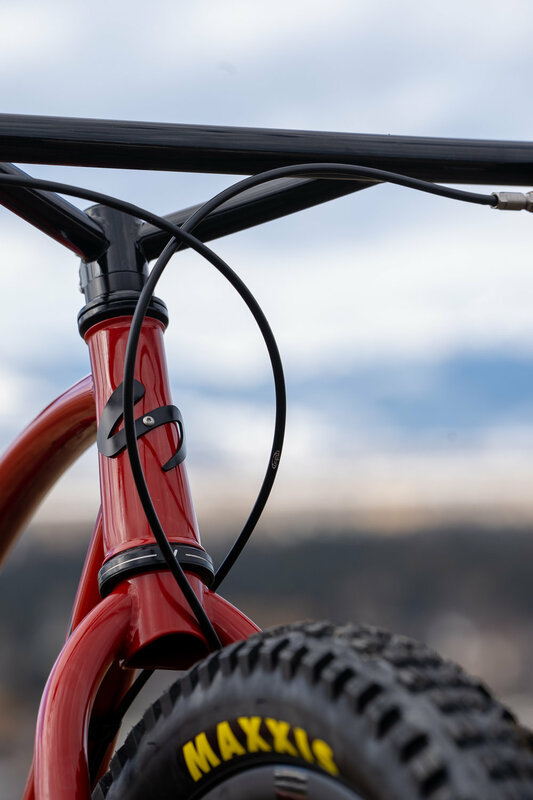 We wend with a 150mm travel fork and some very modern forward geometry. 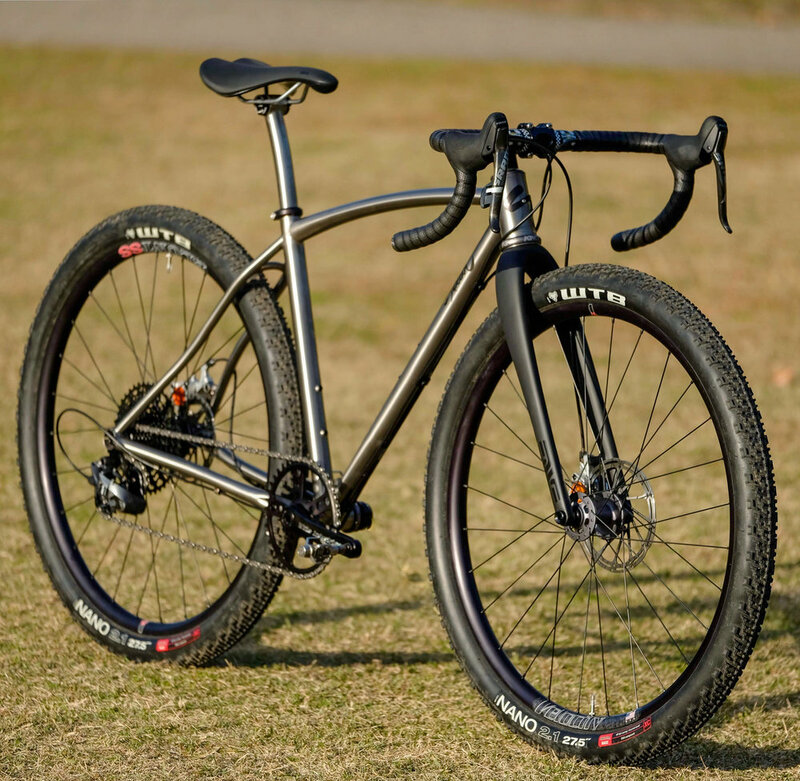 Alek’s frame is also one of the first to use the new 3D Printed Stainless steel chainstay yoke which allows the frame to clear a 36T chainring, 2.8” tire and maintain a 427mm chainstay length. What else could you want? The build is no-nonsense top of the line performance without going overboard on cost or weight savings. White Industries cranks, Chris King headset, Onyx Racing hubs and a drivetrain from Sram with the Eagle GX. Excited to see this bike out on the trail getting dirty!